Some of the many and varied appliances of science have gone on show at the University of Plymouth. 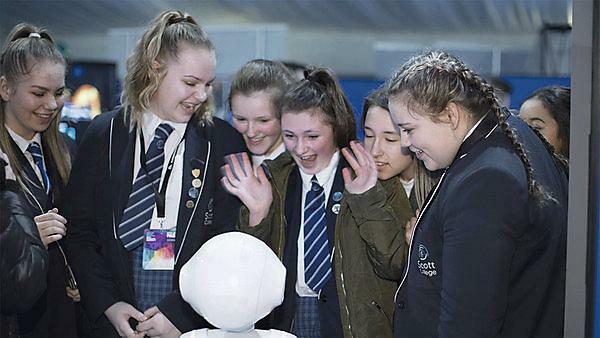 More than 1,000 children and teachers from across the South West attended the eighth annual Science and Technology Showcase, held in the Rolle Marquee on the main campus. It featured examples of world-leading research taking place at the University, in fields as diverse as chemistry, ocean science, robotics, computer game design and geology. The aim of the event is to demonstrate to students how exciting STEM can be at A level and in higher education, and to raise their aspirations in science and technology subjects. It also offered those attending – who came from primary and secondary schools across Devon, Cornwall, Somerset and Dorset – an opportunity to talk with current undergraduate students, PhD students and academics about what it’s like to study and work in STEM.